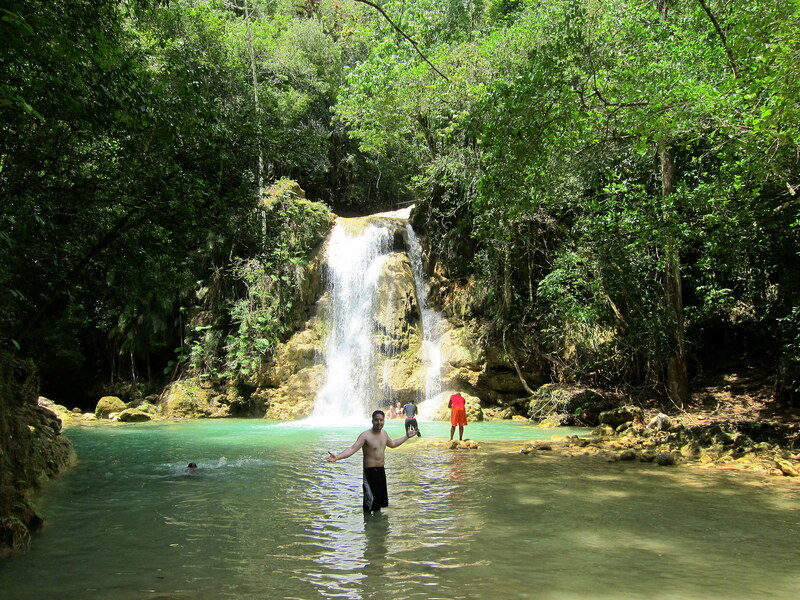 During our stay in Las Terrenas, we decided to take a trip to the waterfall in El Limón – a secluded 52 meter waterfall with a swimming hole at the bottom. 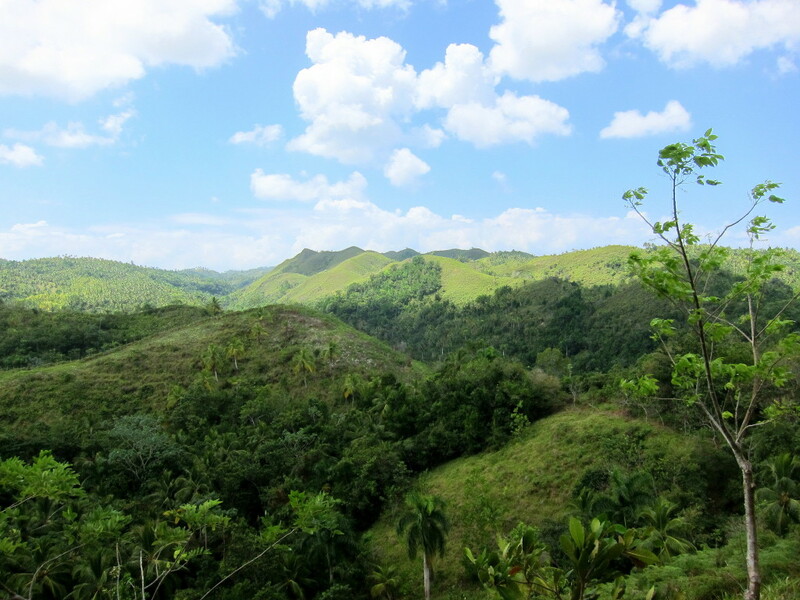 We had several options for getting there – on horseback with a guide, hiking with a guide, or hiking alone. From reading and talking to people, we decided that we didn’t want to do the hike alone because we would get hassled the whole way there by people claiming that we can’t go without a guide. So while it would have been significantly cheaper to go on our own (about $1 fee to get in), we decided it wasn’t worth the hassle and it would be nice to not have to think about directions for once on this trip. I think we made the right choice – for $21 each we got a personal guide, a horse, and lunch, and we got to avoid the hike which would have felt really hard in the 90 degree heat. During the horseback trek we also passed by a few other groups on horseback and several groups of men with machetes and/or shotguns. I don’t think I would have been comfortable telling those men “no thank you, we don’t need a tourguide!” if they were trying to convince us with guns in their hands. $42 total was well spent on peace of mind, a great lunch, and a tourguide to watch our stuff as we went for a swim. We decided to go with the tours from Santi’s restaurant, since we read good things about the tours and the food. 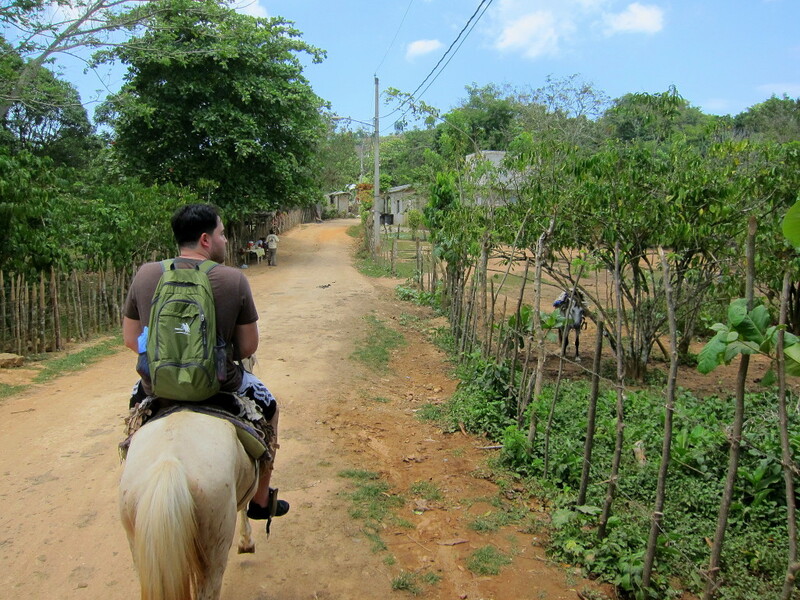 The horseback ride was about 45 minutes, and after that we had to walk down steep steps about 100-200 feet until we reached the waterfall. We started out going through a small village, and then we went into the woods after the guide paid the national park fee. 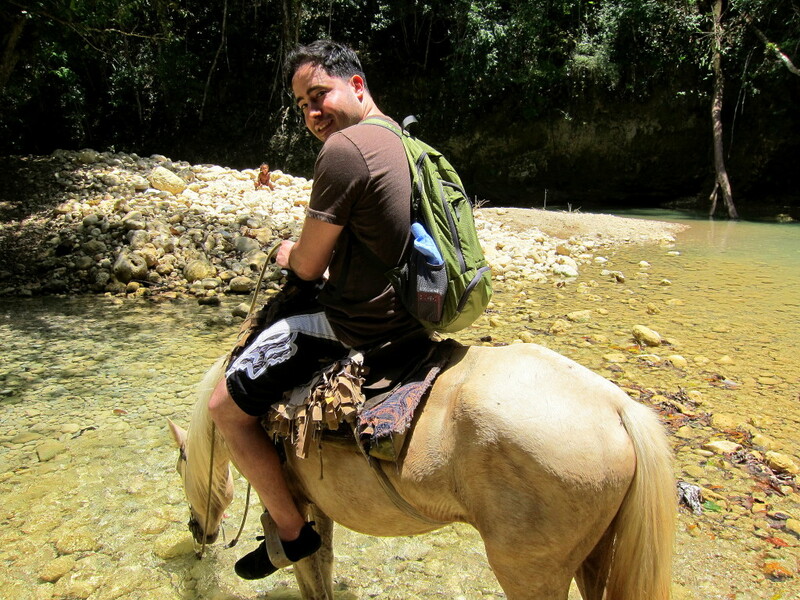 I have only been on horseback once, and it was at one of those “follow-the-next-horse” tours for kids, so this was a totally different experience going through the forest and crossing rivers. It was a bit scary at times when the terrain got steep or slippery, but I had to keep reminding myself that the horse knows what it’s doing, and it doesn’t want to fall as much as I don’t want to fall! We passed by some really beautiful scenery – DR is mountainous! On the way to the main waterfall there was a smaller waterfall that you could swim in to cool down. 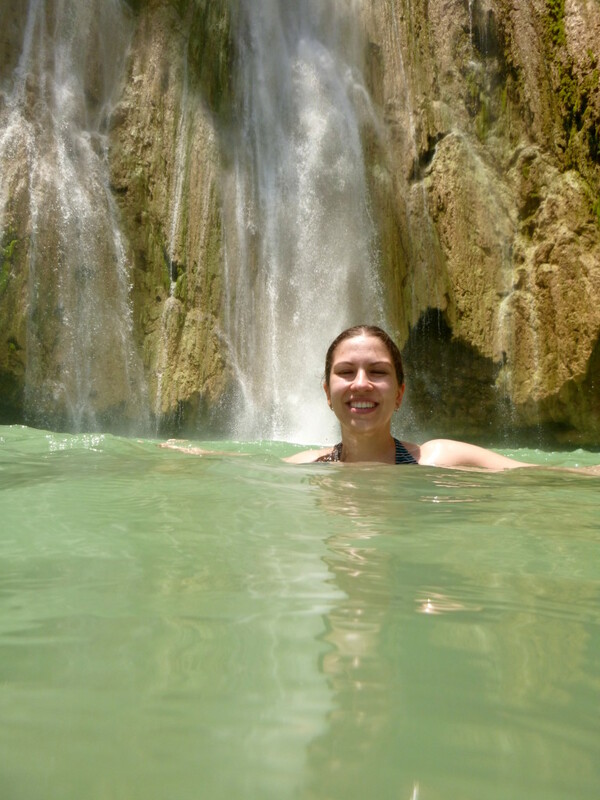 The main waterfall itself was awesome – I love good swimming holes, especially when the water is as warm as it is in the DR (unlike the frigid water in some of the best swimming holes in VT or in the Catskills). I also like that you’re actually allowed to swim in this waterfall – most places in the US have a ranger that comes up every few minutes and kicks everyone out of the water. 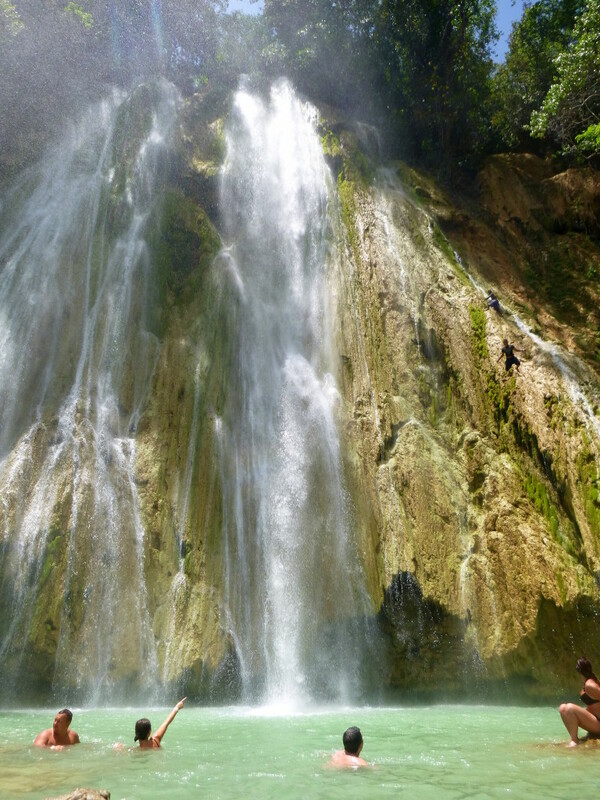 Check out the guys climbing up the right side of the waterfall and jumping down – crazy!! This definitely would not be allowed in the US! When we got to the waterfall, there was barely anyone there and we got to enjoy the waterfall and forget that there was anyone around us. By the time we were ready to leave, it got really crowded because a couple of large tour groups got there at the same time. That was the nice thing about our tour – it was just the 2 of us. We wore water shoes because I always tend to slip and cut my feet on the bottoms of rocky waterholes, and that was definitely good planning on our part because we could just walk in the water without worrying if we are stepping on sharp rocks or pointy tree branches. We also brought our waterproof camera which is so much fun for taking pictures while splashing around. And we brought our “magic towel” as I call it, so we could dry off without carrying a large wet towel with us. We were well prepared for this trip. 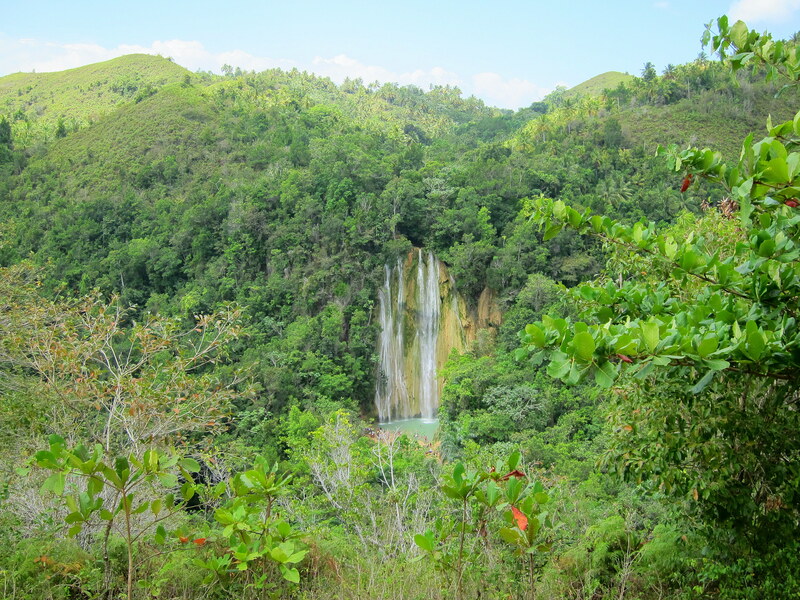 When we were done enjoying the refreshing waterfall, we hiked back to our horse and then headed back to El Limón to have lunch at Santi’s restaurant. The lunch was good. It wasn’t crappy buffet like at most of these tour places – we had lambí, chicken, stewed beef, plantains, white rice, yellow coconut rice, salad, a shredded coconut & pineapple dessert, and tamarind juices. 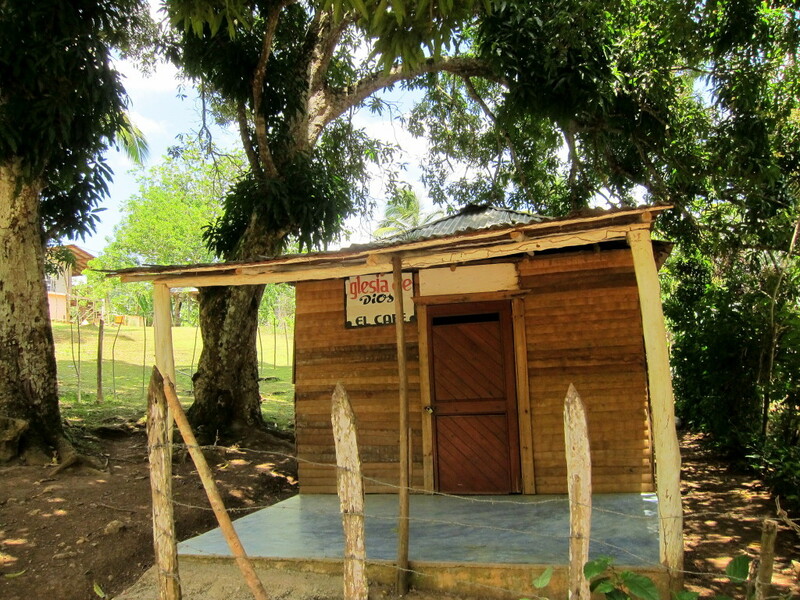 We were full, happy, and ready to get back to Las Terrenas to go to the beach!